Somerset have signed batsman Tom Cooper for the 2015 season. The 28-year-old was born in Australia, but has played at international level for the Netherlands. The right-hander has played 23 one-day internationals, scoring 976 runs at an average of 48.80, and has 2,697 first-class runs to his name. 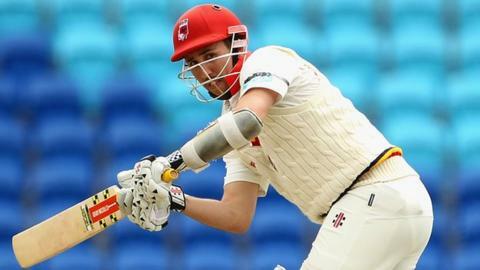 "I have always wanted to play county cricket in England and have heard a lot about Somerset so I am looking forward to getting going in April," he said. Cooper, whose mother is Dutch, has also played 15 Twenty20 matches for the Netherlands, the most recent against England in Bangladesh last March. Somerset director of cricket Matt Maynard said: "It is really good news that Tom has joined us for this season. "He is a highly regarded batsman with a really good track record in all forms of the game and will be a great addition to our squad."